Mayfair Point has been providing flexible working solutions and office space in Mayfair London to clients since 1988 including executive conference and meeting rooms, business accommodation and fully serviced offices. We pride ourselves on our independent status and the way in which our services are able to consistently provide great value, quality and total professionalism. Following our offices having a complete renovation and refurbishment in June 2009, we are pleased to offer clients bright, modern office space accommodation, along with the highest standards in IT and telecommunications services within the London area. Our office spaces are located in the heart of London's stylish Mayfair district. Mayfair Point occupies an ideal position for a meeting or office space, on the corner of Oxford Street and South Molton Street. Our serviced office spaces are conveniently located above the entrance to Bond Street tube station and just a few minutes walk from Oxford Circus tube. South Molton Street is a recognised London landmark with a pedestrianised walk way, designer boutiques and a range of cafes, coffee shops and restaurants. The area is home to many of the world's leading financial, retail, media and professional services organisations. Bond Street, Regent Street and the attractions of London's West End are all within walking distance. From a single desk for a matter of days, to entire office spaces for a team of colleagues for a number of months, Mayfair Point can provide contract lengths to suit, depending on the individual requirements. Visit our Serviced Offices Mayfair, London page for further information. Along with our Mayfair district office space, we also provide high quality Virtual Office services, with mail and telephone forwarding. Simply put, our Virtual Offices allow for your business to take up a more prestigious London address as an alternative to your current one. Enhance your business both professionally and geographically. Great for small businesses to increase their reputation with a London business address, see the full features on our Virtual Office in London page today. Any company meeting always ought to be held in the most professional way possible. And yet, you want your colleagues, your customers and your clients to feel relaxed and comfortable in the environment at the same time. So it's important to cut a fine balance between professionalism and a relaxed atmosphere at the same time. With years of experience, our Meeting Rooms are just that. With our prestigious London location and professionally-run meeting rooms, we ensure you and your clients are totally comfortable, making make your meeting a truly enjoyable experience. Visit our Meeting Rooms London page for further information. For a conference room in London, Mayfair can provide an executive office which is both professional in feel, yet comfortable for all involved. Our Conference Rooms are ideal for any business, large or small, to hold your important conference in a prestigious location with great views and attractions, along with being easy to access by any mode of transport. Our conference rooms allow for not only a professional environment, but a relaxed atmosphere at the same time. 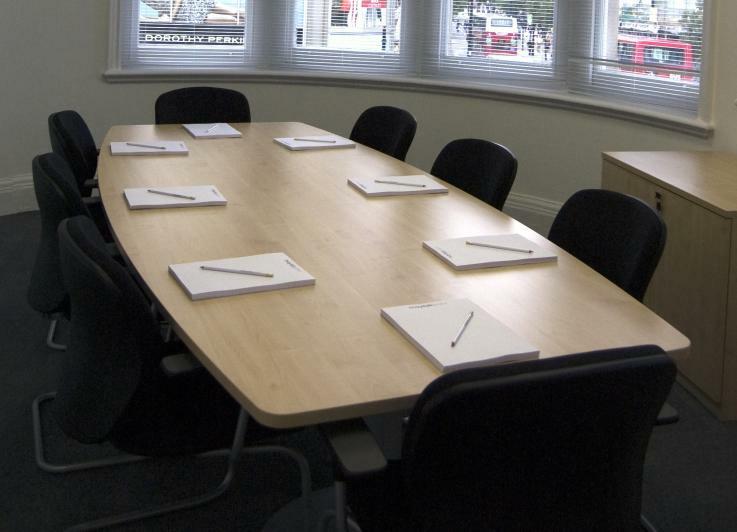 Our Conference Rooms in Mayfair page has all the information you require. Located directly above Bond Street tube, 5 mins from Oxford Circus tube. Location uniquely serves all mainline stations with direct tube links. Only 40 mins by road from both Heathrow and London City airports. Want An Office In London For A Short Time? Many businesses end up with work to do in London, and often an office space in the capital wouldn't go amiss. Luckily, they're as easy to book as it is to book a hotel room! Looking To Cut Office Costs? The recession has brought with it a number of problems even for the best of companies and there is no time like the present to look at the options that are available. This Mayfair Property Map or London Directory is a good reference to see what's around in the Mayfair district of London, and can provide you with some useful locations and landmarks for you and your colleagues to visit while in the area. Advantages for using an Office Space Service in London - Finally, why read our article?